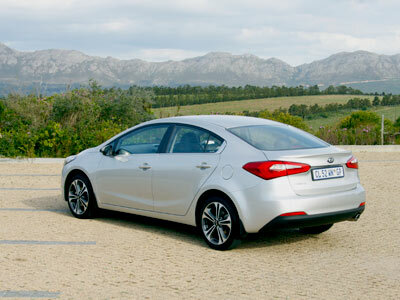 The latest Cerato, sedan or hatch, delivers on value, style, quality and comfort. We tested the 2.0 EX Automatic sedan. It is a very pleasant car which is very easy to drive and to live with. It just soaks up bumps and irregularities in the road and goes round corners with assurance. Standard equipment includes automatic light control, LED daytime running lights, fog lights and electric windows and mirrors. All four wheels have disc brakes, ABS, EBD and all the other safety kit is fitted. 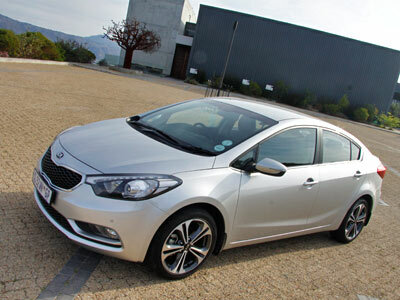 The Cerato interior is pleasant and a big step up from the previous model, but still quite conservative. This is perhaps a good thing. The car is really comprehensively equipped. It has everything from air conditioning to cruise control to electric chromic mirror to rear view camera on the two top models. The leather steering wheel has remote controls and a matching gear knob. The boot is big and deep (420litres) and almost matches the Sentra and Jetta. 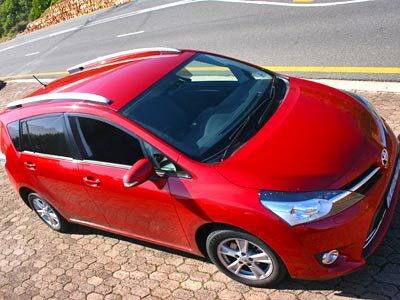 The exterior styling is a step up from the previous model and is somewhat more Eurocentric. I think it looks great and should age well. 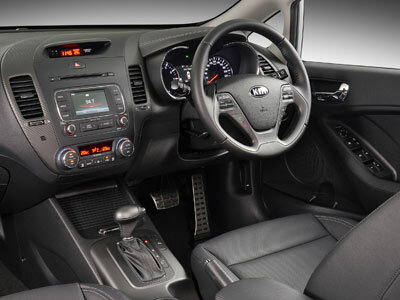 A complaint about previous Kia’s has been the dead steering. The cars felt disconnected from the road. This new generation largely fixes that. Within a day or two you get used to it and don’t notice it. A big improvement. The EX and SX models have a setting to adjust the responsiveness of the steering; soft, normal or sport. Build quality is good, resulting in a five year warranty. Not only will this give you peace of mind, but it should keep resale values high. The in-line 4 cylinder 16 valve dual overhead cam and dual cvvt 2.0 litre engine produces 118kW @ 6 200rpm and 194Nm @ 4 300rpm. Top speed is 205km/h and 0 to 100km/h is 9.3 seconds. Both manual and auto boxes are 6 speed. I think the 1.6 models may be a little lethargic on the Highveld especially with 4 adults onboard, but the 2.0 litre models are just right. Expect fuel consumption of around 7.5 l/100km. 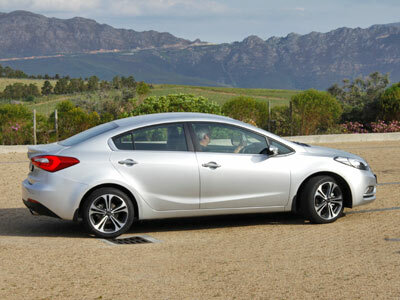 Price of the Cerato EX 2.0 Automatic as tested is R259 995. The range starts at R219 995 for the 1.6 manual. The top model is the 2.0 SX Automatic at R289 995. Also look at the Nissan Sentra, VW Jetta, Ford Focus, Toyota Corolla, Chevrolet Cruz, Hyundai Elantra and Honda Civic. My short list would be Civic, Focus, Sentra and Cerato. 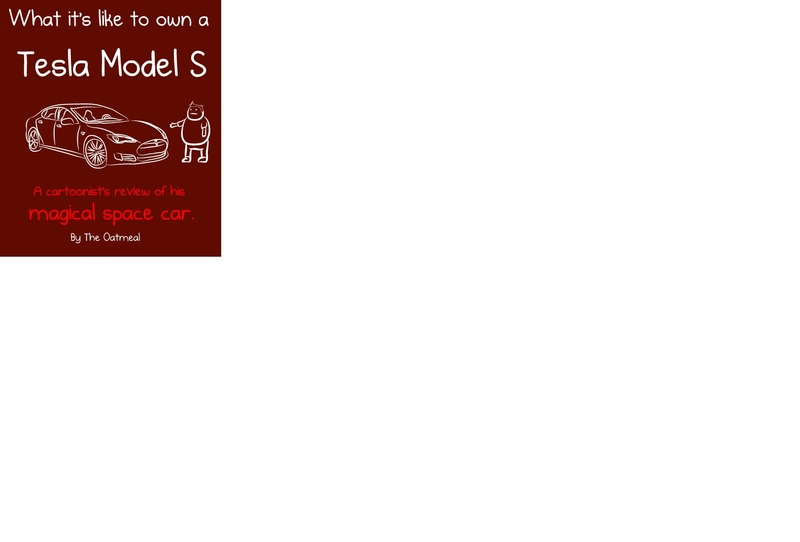 The warranty is 5 years or 150 000km and the service plan is 5 years or 90 000km. 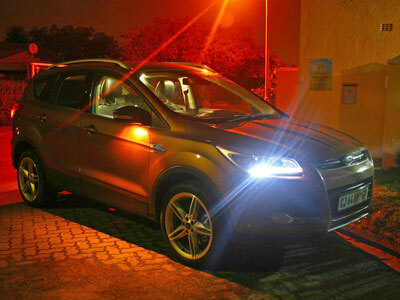 The top-of-the-line Ford Kuga is quite a beastie. Nimble. User friendly. Nice bite from the oil burner. Claws retracted most of the time. To drive this smaller SUV is to be astounded just how much automotive technology has progressed in recent years. It mollycoddles you from the getgo. But gives you your head as well. Ford have produced a gem in the Mk 2 Kuga. If it seems like I was impressed with her, you will be right. Courtesy nightlights point down from the side mirrors. The Kuga looks good. The lines flow and create a harmonious balance. The look grows on you. The dimensions seem optimal for a compact but roomy SUV. From the silver roof rails to the dual stainless steel exhaust pipes the parts add to the whole. From a safety point of view the Kuga has it all. Seven airbags, Anti-lock Braking System (ABS) and Electronic Brake Assist (EBA) and Electronic Brake-force Distribution (EBD, brilliant lights. The hands free tailgate is a useful feature. You can open the tailgate by waving your foot under the car at the back. The system is a little difficult to get the hang of though. Ford are up there with the best when it comes to the cabin. Fit and finish is top drawer. Premium. The cabin has a pleasant mix of soft and hard, shiny and matt. It is a soothing place. The car is well equipped and depending on trim level the list of goodies gets longer. For example, heated sporty 10 way power adjustable leather front seats grace the Trend models. Rear eats have decent leg room and are also comfortable. Needless to say there are a host of storage bins and cup holders. Also storage under the seats. In car entertainment includes a Sony audio system with 9 speakers and a 4.2″ TFT colour screen together with the Ford SYNC system with Bluetooth and Voice Control. The Kuga grips the road with as Ford says all wheel drive ‘Intelligent AWD-System’ with variable torque distribution, electronically controlled. It rides a healthy 192cm off the floor unladen giving good ground clearance. Useful touches include hill launch assist, electronic stability programme (ESP) with traction control, cruise control and park assist. The Duratec diesel is excellent. Power is a generous 120 kW @ 3750 and a very useful torque of 340Nm @ 2000 – 3250. 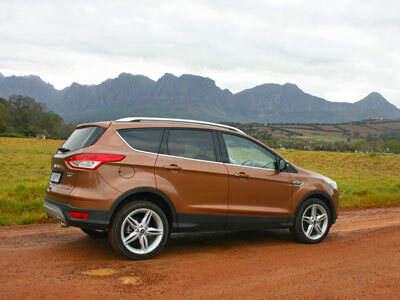 The Kuga is superb both on- and off-road. Off-road in the context of gravel and jeep tracks. Cornering for a SUV is stunning. Handling and road holding is typically modern Ford, and that’s good. The top models with the driver package installed can even park themselves. More useful are the lane control, blind spot control, collision warning and cruise control. The new Kuga is very good. It is also very good value. We recommend it. R418 900 as tested. We got to drive the AWD, 2.0 automatic diesel. 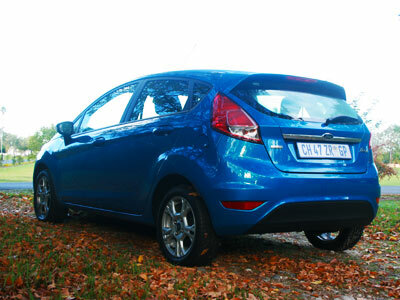 The range starts with the manual FWD 1.6 Ecoboost Ambiente at R298 900. Its a great little high riding station wagon. Warranty is 4 years or 120 000km and corrosion warranty of 5 years unlimited. Service plan 5 years or 90 000km. Service intervals are 15 000km. Ford have had two really great years. They have launched the best bakkie in South Africa, the Ranger, the best affordable small car the Figo based on the previous Fiesta and the new Focus and Fiesta. The recently launched Ford range of vans are big medium sized vehicles. 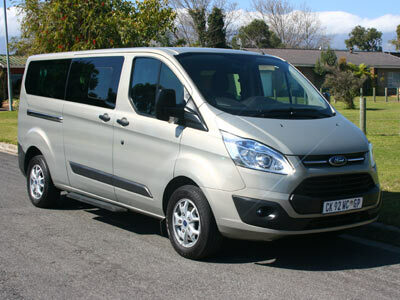 The Tourneo which is a 8 seater luxury people mover and its cargo sister the Transit. They both use the brilliant 2.2 litre turbodiesel engine made in Port Elizabeth and also fitted to the Ranger bakkies. These Duratorq TDCi 2.2 engines come in two versions of which the more powerful produces 92kW at 3 500 and 350Nm from 1 450 rpm. A lot of power with which to work. They are fitted with 6 forward gears so fuel consumption is excellent. The sixth gear is almost like a long overdrive, helping to give impressive highway consumption figures of under 6litre/100km. 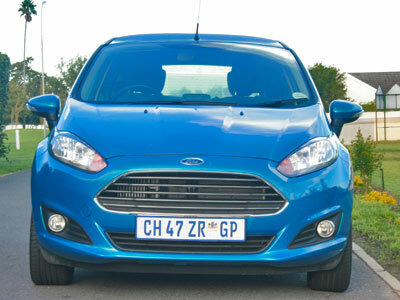 Ford claims 6.5litre/100km for general driving. I think you will get around 7litre/100km based on my experience and closer to 7.5 when fully laden. Still an awesome figure. Top speed is over 150km/h. Acceleration is car like. With the smooth gearbox and easy clutch, changing gears becomes second nature the first time you drive these vans. You are helped by the hill launch assist function which holds the van for a moment when you take your foot off the brake to pull away without effort even on a hill. The turning circle is around 12m. The vans come fitted with all the important safety features including ABS with EBD, stability control, and rear solid disks at the back. Airbags are standard for both driver and front passenger, side airbags and in the Tourneo includes curtain airbags as well. These vans are as safe as is practical with today’s technology and is class leading. 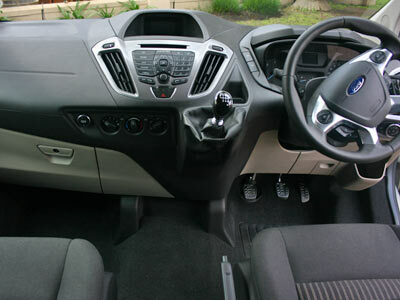 The interior of especially the Tourneo is well designed and is fully equipped. The front windows are powered. Fitted as standard is air conditioning with filter-air pollen purifier, heated fully adjustable front seats, carpets throughout, courtesy lights and all the normal bottle holders and pouches. 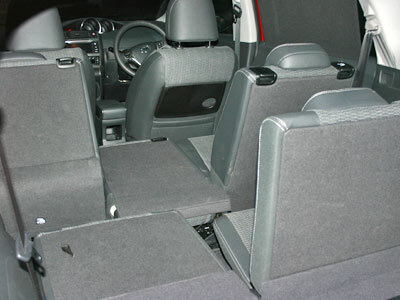 The middle and rear seats fold completely and can be relatively easily removed to make a huge cargo space. 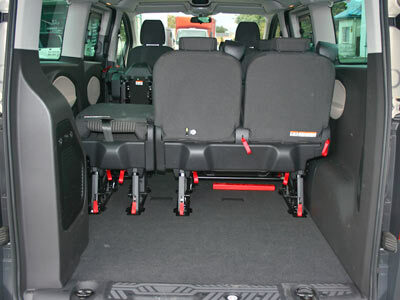 The Tourneo has more space behind the rear seats than any of its competition. There are 3 power points, a good sound system with USB, Bluetooth, aux connections, arm rests and 8 coat hooks. 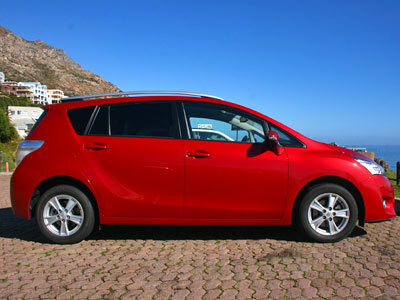 The cabin is very pleasant and will make a great tourer. The Tourneo is effortless to drive. Much like a big car. Even reversing is easy thanks to the park distance sensors and split rear view mirrors which have normal and wide angle mirrors. Visibility is excellent. Acceleration is good, especially when overtaking. You just need to drop a gear and away she goes. It cruises at 120km/h with ease. Cornering is impressive for such a tall vehicle (2m high) and you always feel confident. Both handling and road holding set new standards for medium sized vans. Ford spares are generally very affordable and available so keeping your vehicle on the road should be easy. 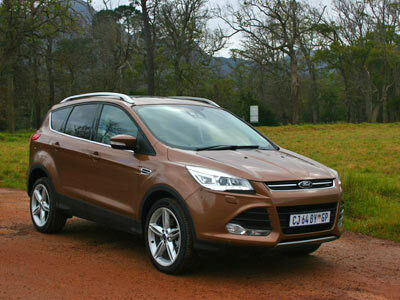 The new Fords all drive well, have good road holding and appear to really well built. 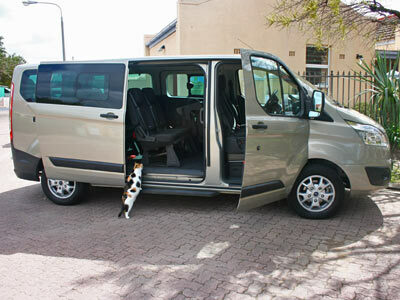 The Tourneo is the perfect shuttle or courtesy bus. Take the seats out and you have a cargo van. A vehicle, which although slightly smaller, should be looked at when considering the Fords is the Hyundai H1 range. The diesel H1s are very good. All Ford vans come with a 4 yr/120 000km warranty and 5 yr/unlimited km corrosion guarantee. Service intervals are 15 000km. The Spark Pronto is the smallest commercial vehicle on our roads. Basically a box on wheels. GM have taken the Spark and made a tiny van, much like FIAT did with the Uno years ago, just much better. This is possible because the Spark is built in South Africa. Basically they have stripped the seats out of the back and made a proper load box with a flat floor and a partition to the front. There are little burglar bars over the rear windows. This translates into a 275kg payload and 876 litres of space. The Pronto is just right for the businesses that require nothing more than the smallest, cheapest delivery vehicle they can find, with absolutely no need for bells and whistles. Very importantly it retains air conditioning. Ideal for florists, chemists, pathologists and any load that requires cooling. The cabin at the front is unchanged from the normal Spark. 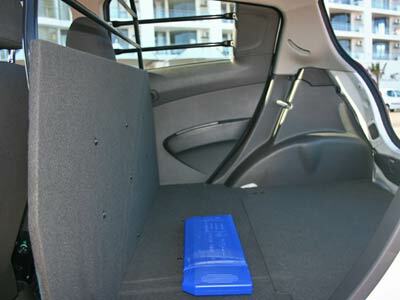 The car also retains the two back doors, so access is excellent. This little Spark will get small and light parcels as well as documents to clients quickly and inexpensively. It is also ideal for security companies, florists, pathologists and for medical deliveries. 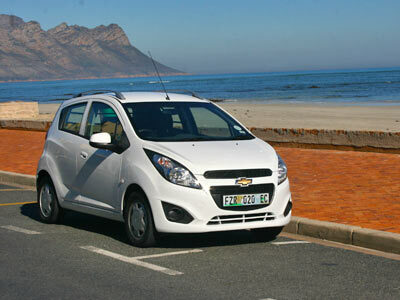 The Spark Pronto uses Chevrolet’s basic 1.2-litre four-cylinder petrol engine, like almost every other Spark. It’s a quite perky, if a little noisy. It produces 60kW at 6400rpm and 108Nm at 4800rpm, and propels the light-weight Pronto from 0 to 100km/h in a little over 13 seconds, with a top speed of 164km/h. GM claims fuel economy of only 5,4l/100km. Expect around 6 litres/100km. Around Cape Town I found it more than adequate, almost nippy. The car keeps all the equipment of the normal Spark except the radio, but the wiring and speakers are installed. 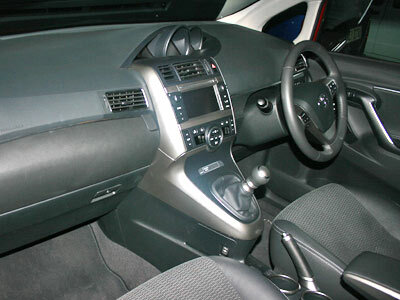 It still features the same high levels of passenger comfort and safety as found in other Spark models, with dual front airbags, ABS with EBD, power steering, remote central locking and air conditioning. The Chevrolet Spark Pronto costs R103 000. If you are registered for VAT you can claim back the VAT on the vehicle. The Spark range comes standard with a 5-year/ 120 000 km warranty and comprehensive Roadside Assistance, as well as five years’ anti-corrosion cover. A service plan is available as an optional extra on purchase.